Even on the edge of Brisbane’s CBD it is not hard to find a cafe. While not as common as they are further into the CBD, it still seems like there is one in every third office building. Like Pour Boy Espresso. 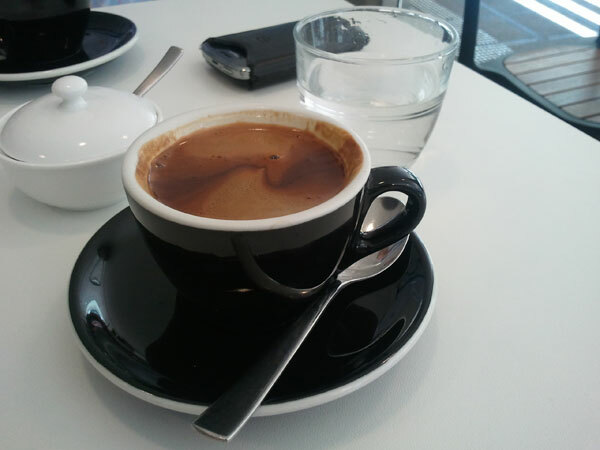 Pour Boy Espresso is a reasonable place to go, and what you come to expect from a city cafe. They sell food and coffee, and from the look at their set up, they can probably handle the busier parts of the day well. Though I did not get to test this hypothesis, because I was there a little ahead of the lunch rush. I wasn’t there food, but I did get to try their coffee. Perhaps my expectations were raised by what I’ve heard others say of the place, but I was a little disappointed. The coffee was OK, like a lot of other cafes. For a black coffee it was served a little hot, and the flavour was fairly light, probably more suited for a milk coffee. In theory at least. Maybe I missed something. A quick search on the cafe’s name online will return a decent number of enthusiastically positive reviews. There is even a Courier Mail article in there too. While I am sure that some people like this cafe a lot, and the food did look interesting, I am not sure that I agree. Pour Boy Espresso was a nice cafe, like so many more.